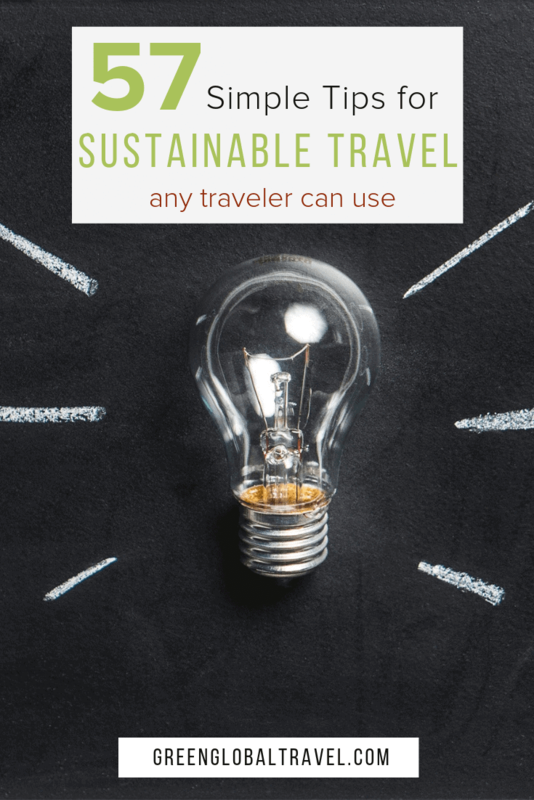 Sustainable travel (which is also known as responsible travel or ecotourism) is an umbrella term used to encompass ethical issues such as wildlife tourism, volunteering abroad, conservation, etc. It’s become an increasingly hot topic in the tourism industry over the past decade. When we started Green Global Travel back in 2010, we were hardly what you’d call sustainable travel experts. 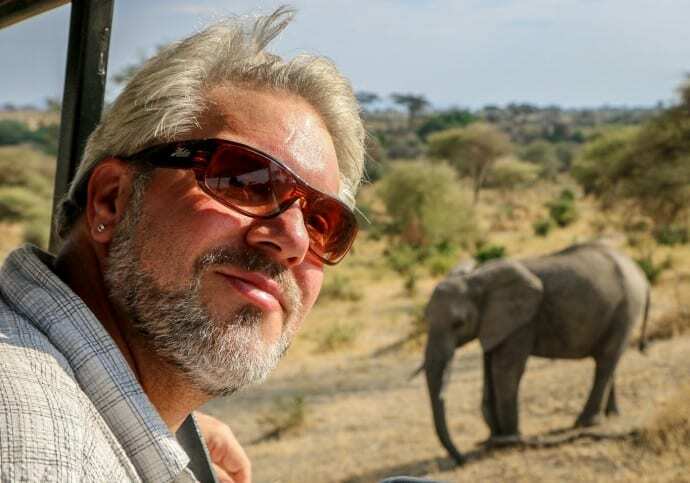 But we had a deep passion for ecotourism, an interest in eco-friendly living, and a desire to learn more about how we could lower our negative impact, both at home and abroad. Over the past seven years we’ve become a lot more conscious about our impact on the planet, both positive and negative. As you can imagine, we’ve learned a ton about the core principle ideals of sustainable travel and ecotourism. Perhaps the most important is that “going green” isn’t about doing one big thing, but doing lots of little things that add up over time. 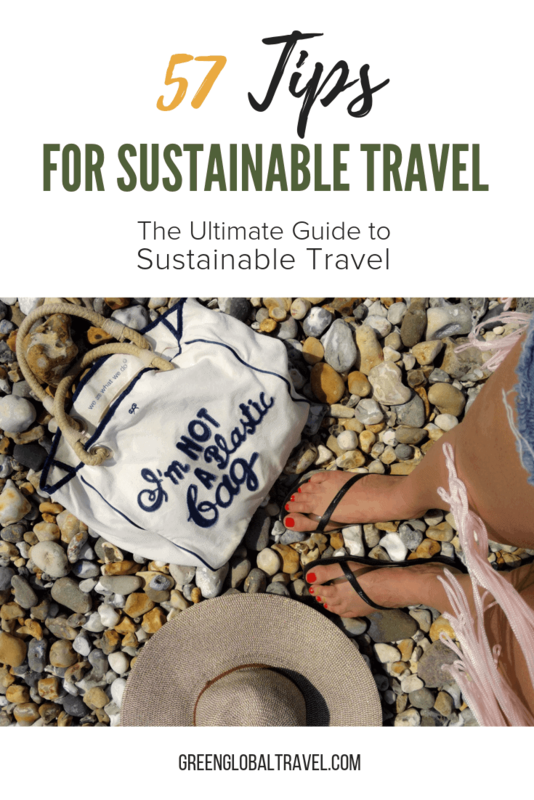 To that end, here are 57 simple sustainable travel tips that anyone can easily implement to improve the positive impact of their travels! 1. Seek out unique destinations rather than places that cater to mass tourism. You’ll avoid crowds and provide tourism revenue to places that desperately need it. 2. Turn off the faucet while you’re shaving or shampooing in order to help conserve water. 3. Taste traditional foods that feature ingredients from the region rather than being flown in from other parts of the world. 4. Eat less meat, more vegetables. Reducing meat consumption could slash your food-related greenhouse gas emissions in half and reduce the rate of deforestation. 5. Dine in. Take-out meals involve a large amount of waste. Dining in avoids using disposable cups, lids, straws, bags, styrofoam, condiment packets, plastic cutlery, etc. 6. If you’re traveling with family/friends and the destination is within driving distance, consider taking a road trip. If you’re traveling solo, flying is a more sustainable travel style! 7. Improve your fuel efficiency by up to 33% by sticking to the speed limits and driving at a smoother pace. 8. 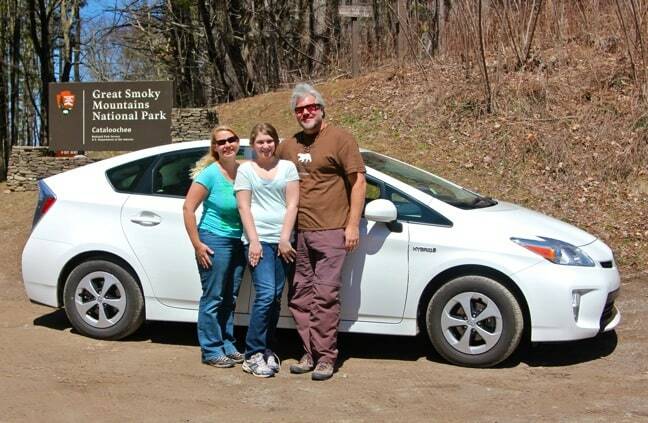 Consider buying or renting an electric car or hybrid for your next road trip. It can cut fuel consumption by 50% or more! 9. Remove excess weight from your car. Every extra 100 pounds equals 2% less miles per gallon. 10. If you must fly, book non-stop flights whenever possible. Takeoffs and landings account for the majority of carbon emissions created by flying. 11. Ride a bike. 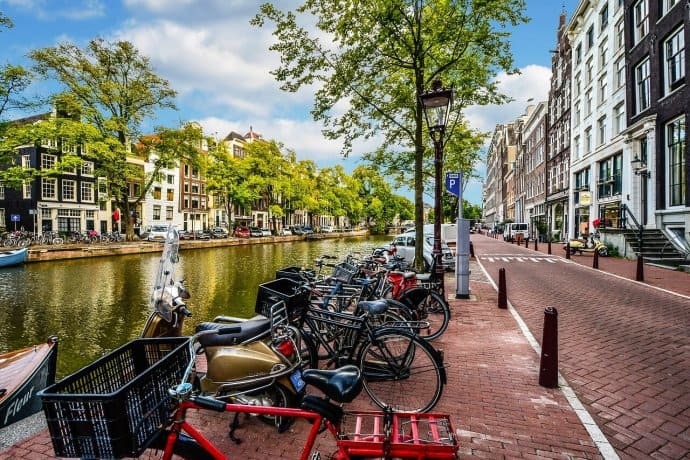 Pedal power is one of the sustainable travel modes because it helps reduce harmful carbon emissions. 12. When you book a flight, tour, or accommodation, question whether (and how) the company supports sustainable travel. 13. Choose a “green hotel” or eco lodge that uses alternative energy sources, hires local employees and locally sourced products. 14. Find out if your hotel uses water-saving measures such as low-flow toilets or collecting rainwater to keep their lawn green. 15. NEVER use the hotel laundry. They typically wash each guest’s clothes separately, even if there are only a few items. 16. 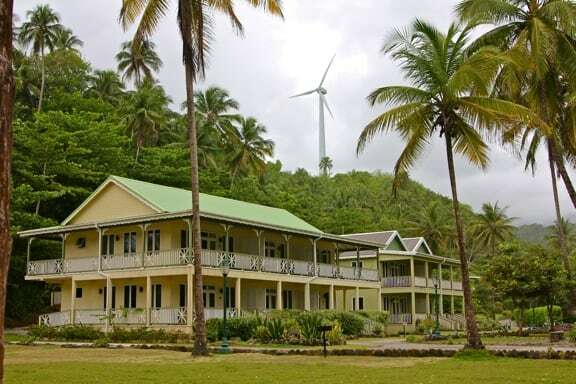 Ask if your hotel/resort uses alternative energy, such as solar or wind power. 17. Ask if your hotel has recycling bins in rooms and lounge areas for guest use. 18. Does the hotel manage and help to protect the natural habitat around it? Does it have a positive impact on, and active role in, the community? 19. Make sure the lights, heating unit/AC, and television are switched off each time you leave your hotel room. 20. Leave the “Do Not Disturb” sign on the door so that the housekeeping staff won’t clean your room every day. This will save on harsh chemical cleaning supplies and the electricity of vacuuming and washing bed linens. 21. Use only one bar of soap for both the sink and the shower, and take any leftover soap with you. The hotel will just throw it out if you leave it behind. 22. Return all brochures and maps to the concierge after you’ve finished using them. 23. 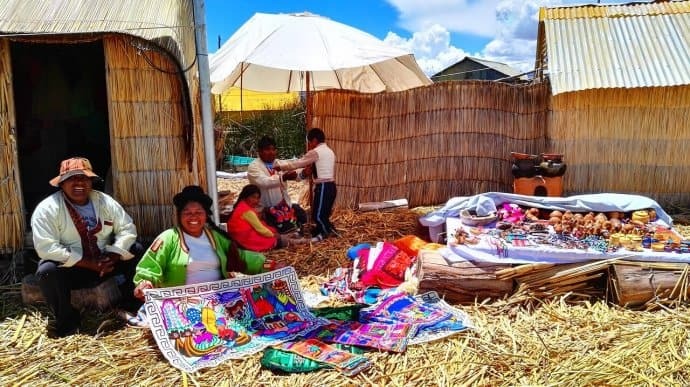 Shop locally, seeking out souvenirs made by indigenous artisans rather than mass-produced knock-offs. 24. When you buy products, take time to learn more about the craftsman and their culture. It gives you a story to go with your souvenir, and you might make new friends! 26. Travel with a tote bag, which allows you to shop without needing plastic bags. 27. When exploring national parks, beaches, and other natural areas, use your tote bag to collect any trash you may find along the way. 28. Use eco-friendly sunscreens and bug sprays. 29. Swap clothes, books, and magazines with locals or other travelers you meet instead of buying something new. 30. Pack light. Less luggage burns less fuel. 31. 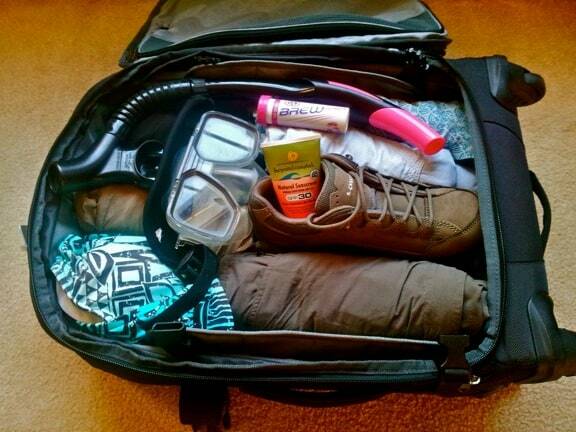 Pack items that can be washed in the sink and are quick-drying so they can be worn multiple times during your trip. 32. Use public transportation wherever possible. 33. Walk. The best way to discover a new place is to explore it on foot. And you can feel good about combining exercise with offsetting carbon emissions! 34. Follow regulations that say you must be a certain distance away from wildlife at all times. Remember you’re on THEIR territory. 35. “Take only photos, leave only footprints.” Stay on marked paths to avoid damaging native flora. 36. Drink responsibly: ALWAYS travel with a refillable water bottle. 37. Remember that some cultures have very different traditions from yours. 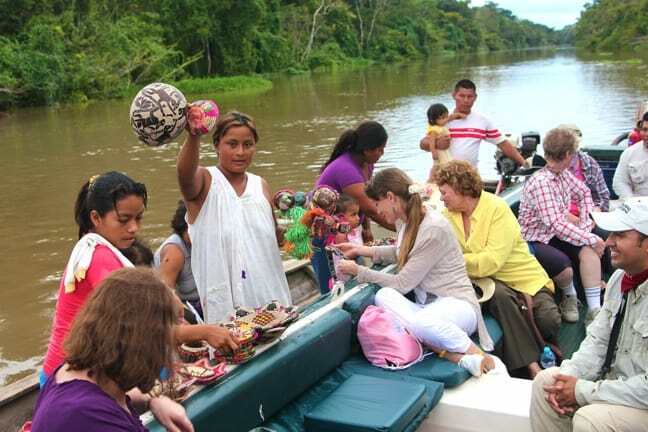 Sustainable travel means respecting those local traditions. 38. 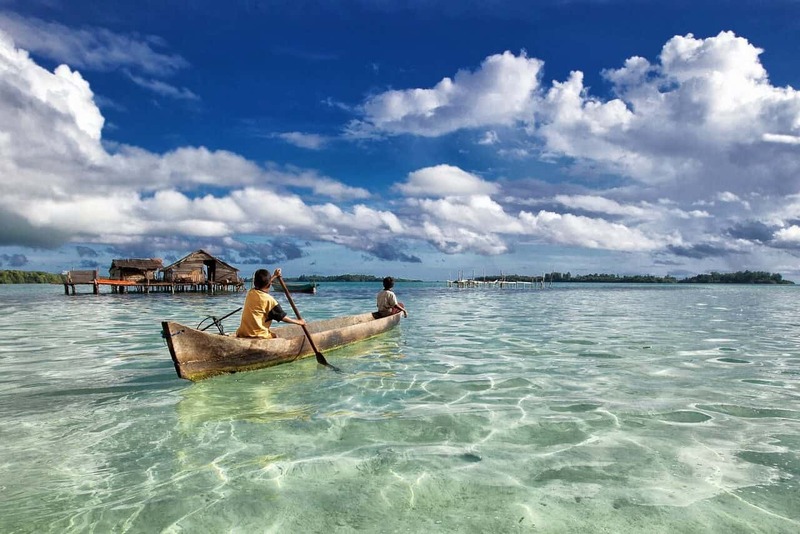 Use indigenous tour guides to provide local people with income and get a deeper understanding of a place. 39. 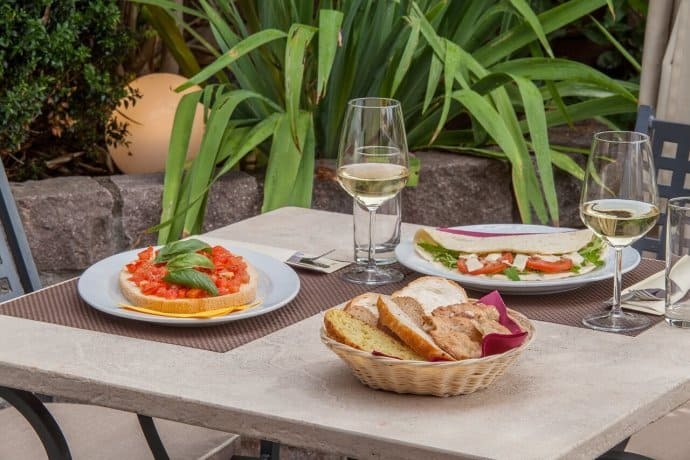 Take time to immerse yourself in the local music, art, and cuisine. Embrace the cultural differences that make each destination unique! 40. 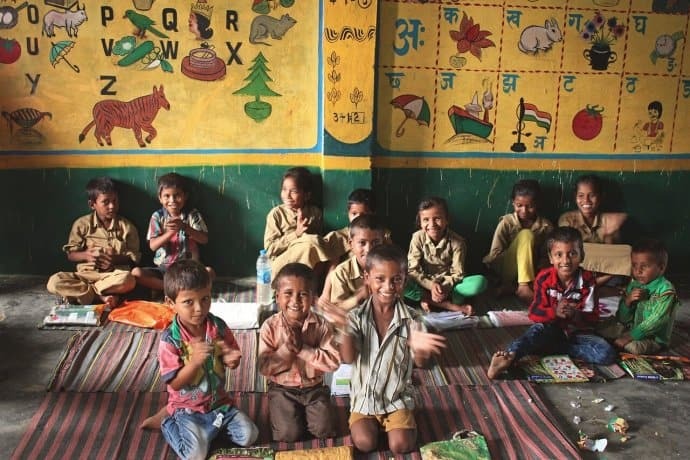 Bring school supplies on tours in which you know you’ll interact with local kids. Organizations like Pack For A Purpose can help you find out what supplies are most needed in the area. 41. Choose a responsible Snorkel/Scuba Dive operator. 42. Ask if your Snorkel/Scuba tour operator chums the waters to create a feeding frenzy, or allows divers to touch fish/coral reefs. 43. Before going horseback riding, observe the condition of the horse. If the horse seems unhealthy, uncomfortable, or poorly cared for, don’t ride it under any circumstances. 44. Do not ride Elephants or walk with Lions under any circumstances. If you do, you’re supporting an industry that capture and abuses millions of animals each year. 5o. Refuse to take photos with Tigers. Many facilities that offer this option participate in illegal wildlife trafficking, forced breeding, physical abuse, malnutrition, and insufficient facilities. 51. Avoid riding dolphins. Scientific evidence shows that this treatment, not to mention their confinement, is seriously detrimental to the Dolphins’ health and well-being. 52. Don’t give cash to aggressive vendors wanting you to pay to pose for photos with a chained-up monkey or other animals. 53. Don’t support dancing Bear shows. The animals are often put through horrific surgical procedures to defang or declaw them in order to make these encounters safer for tourists. 54. Never feed any sort of wildlife, for any reason. Feeding animals makes them habituated to and reliant on humans, and often leads to attacks. 55. If you simply must have an animal selfie to show friends back home, consider visiting or volunteering at wildlife sanctuaries that rescue and rehabilitate injured/orphaned animals. 56. 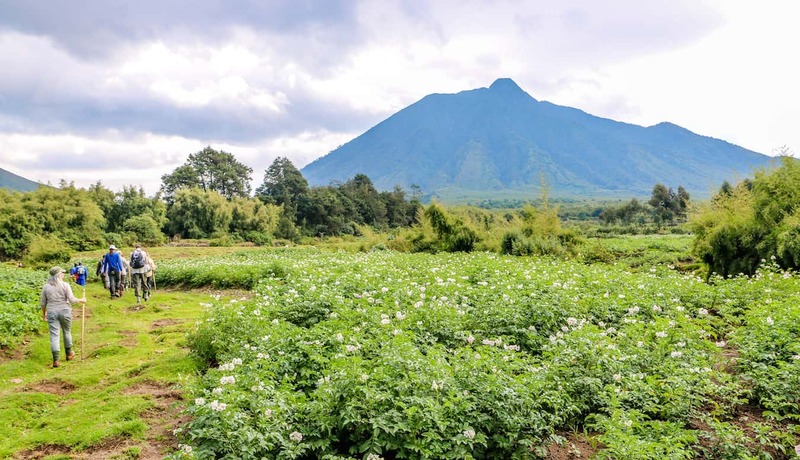 Travel with sustainable travel companies who focus on minimizing negative impact and working to benefit the local communities in the places they visit.